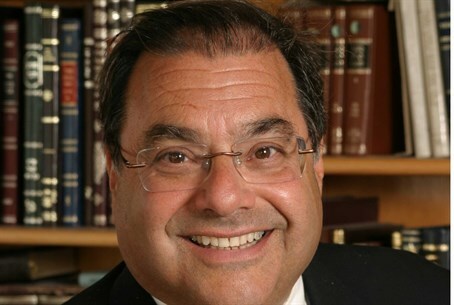 Chief Rabbi of Efrat, Rabbi Shlomo Riskin, spoke with Arutz Sheva on Wednesday amid outrage over Religious Services Minister David Azoulay's (Shas) recent comments on Reform Jewry. "First of all, I want to believe that he never said it," the obviously troubled Riskin began. "I don't know any rishon, any posek, who would claim that if you don't keep mitzvot l'halutin [completely] you are not Jewish. That's not the definition of Judaism and it's never been the definition of Judaism." Riskin also condemned the hypocrisy of Azoulay's statements, asserting that "too many" Torah-abiding Jews "either end up in jail or in trouble" because they are more concerned with keeping the commandments then how they behave to their fellow man. Asked what Prime Minister Binyamin Netanyahu's response should be, Riskin argued the Prime Minister should correct the "terrible mistake" he made by granting the haredi parties so much power in his government. "Netanyahu must re-think the fact that he sold the store of Religious Zionism away to the haredim. That's the real difficulty, because the Judaism that sometimes is expressed...is not the Judaism of sanctifying God's name." While Riskin added his commitment to the Chief Rabbinate and the state religion "speaking in favor of the totality of the tradition...which is Orthodoxy," he stressed that "I don't believe an individual's religious practices ought to be coerced." "We believe proudly in Orthodoxy and we have to teach who we are rather than knock on who the other happens to be," he concluded.